At the age of 3, she would listen to Ustad Bade Gulam Ali Khan in rapt attention. It was no surprise therefore when at 4, little Suchismita started her formal training in classical music under the tutelage of Pandit Ajoy Chakravarty. At 7, she got admission into the prestigious ITC Sangeet Research Academy in Kolkata when their minimum age for admission was 10. In the next 16 years at the Academy, Suchismita evolved into a mature classical singer. His four generations have been into music. That he would be the fifth was a writing on the wall. Niladrikumar started learning the sitar from his father Pandit Kartick Kumar and performed on stage at the age of six. He never looked back since. Pandit Jasraj was born to Pandit Motiramji, a classical exponent, in Hissar, Haryana to a musical family. 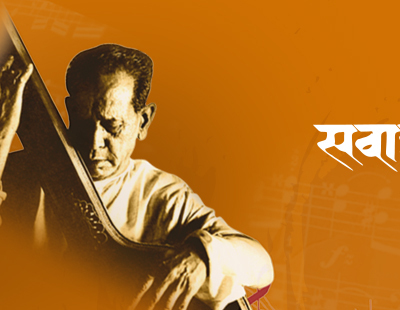 His family is well known for singing in the Mewati Gharana style. Pandit Motiramji died when Jasrajji was only four, on the day he was going to be appointed as the state musician in the court of the Last Nizam.